Party On per Siena 2019 ! | Just Visit Siena ! Home » Party On per Siena 2019 ! 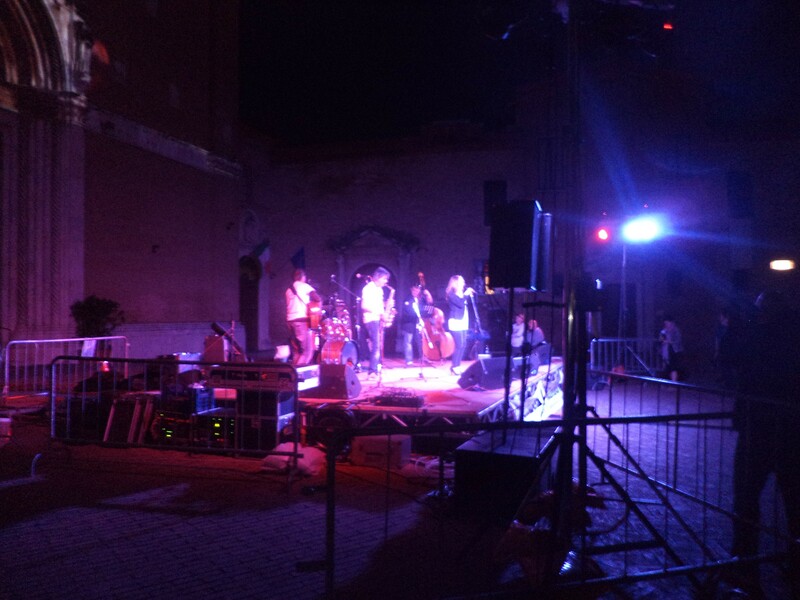 Category Archives: Party On per Siena 2019 ! 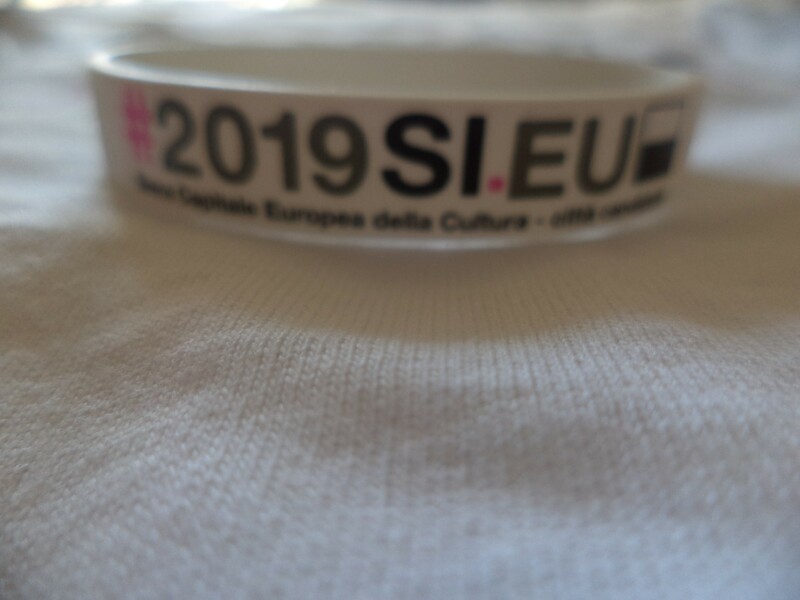 Siena 2019 – City nominated for European Capital of Culture (Siena 2019 – Città candidata a Capitale Europea della Cultura) made an appointment with a wonderful Party On, the big event that took place just yesterday evening in Piazza San Francesco. Four local bands gave great live concerts. The musicians show opened MK Pisani. Then we could have fun with funk rock group – the Silent Noise. Next was Matteo Frusciante and Lady Ramona revival band, a group that produces mainly covers of big hits rock 60s and 70s. Everything closed the red-hot rock concert of The Dinosaurs, well known for numerous performances unleashed in Siena and province. However Party On wasn’t just a music event. 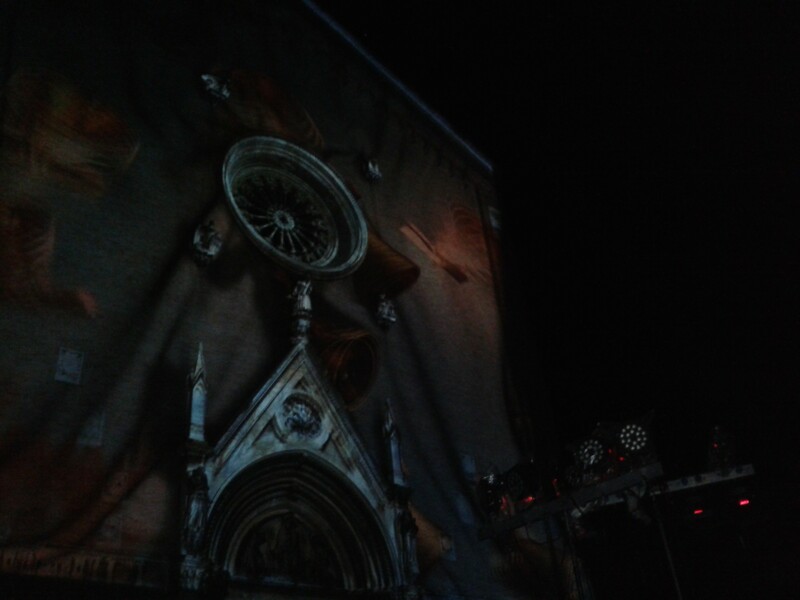 We were able to admire a great light installations (spectacle of light and 3D animations) that enriched the evening. This was designed by Walter Buonfino (an expert in 3D graphics, video mapping and documentary photographer). 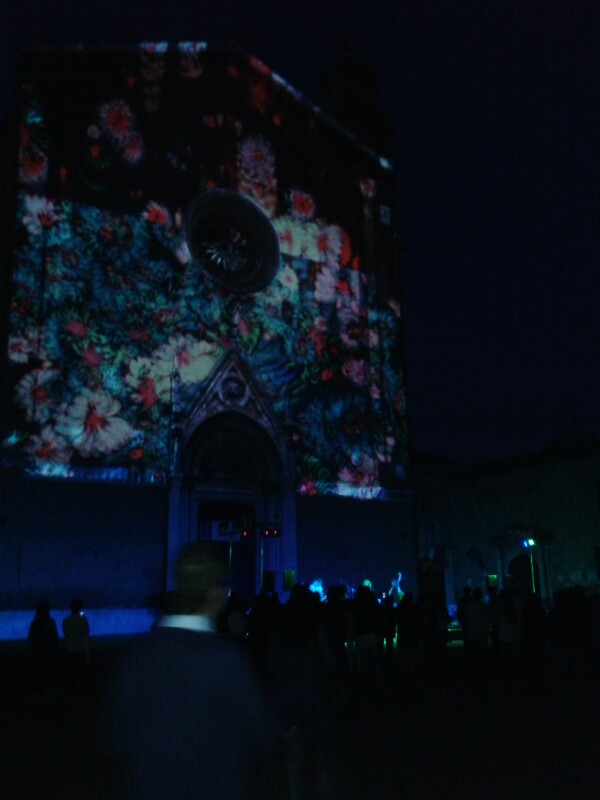 Play of lights and lighting installations inspired by the colors and themes of Candidacy was projected on the facade of the Church of San Francesco, transforming the space into sets dynamic and engaging. The result of this work was an unique explosion of images that excited us an at the same time described through fascinating “stories in motion” the key points of the project application, the magic of a whirling dance of lights, colors and sounds. 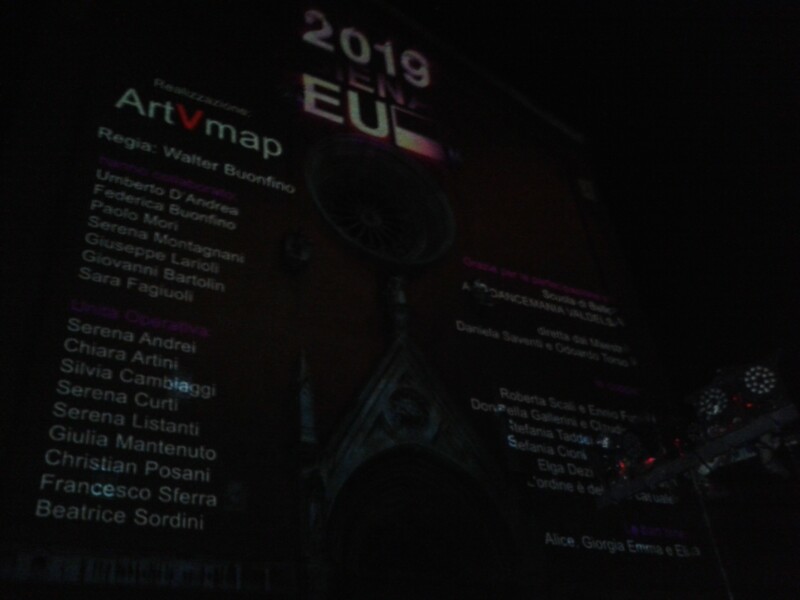 It was a spectacular video projection in which the main themes of Siena candidacy for European Capital of Culture 2019 were reinterpreted in an artistic manner. For sure a unique opportunity where we could admire the artistic heritage of the city. What is more during the Party On the staff of Candidacy distributed the new gadgets of Siena, 2019. Like this we could get original bracelet and T-Shirt. Of course I didn’t miss this chance. All initiative was organized to encourage the active participation of young people in the project of Candidacy. It is for sure a crucial opportunity to imagine, discover and build together the future of Siena. Below I put some photos, however they are absolutely not able to show what we saw yesterday 🙂 This will be one of our priceless memories. Wish you sunny weekend!The last before Palio that we are waiting for! What is important this weekend in Siena will be a beautiful weather!